Cloudy. High 66F. Winds light and variable.. It goes without saying that politicians don’t always see eye-to-eye on every issue. In my time serving in the Legislature, I worked closely with my colleagues, regardless of party to find solutions to strengthen our state. That’s when we were at our best, when we were working together. Measure 104 will protect families throughout the state and make sure that the Oregon legislature works in a more accountable, bipartisan and cooperative manner. The Oregon Constitution long required a three-fifths supermajority for legislation that raised revenue to the state. Voters enacted the requirement in 1996 and for many years it worked as they intended. But now, using a new legal opinion, legislative leaders have invented loopholes to change the rules and make it easier to raise taxes on Oregon families, farmers and small businesses. This is an unfortunate example of the extreme politics that is present in both major parties today and makes the legislative compromises we need to solve the problems facing our state more difficult. When it comes to tax policy, the “path of least resistance” shouldn’t determine how the state generates new revenue. More than a half-million homeowners rely on Oregon’s mortgage interest and property tax deductions to keep housing within reach, which is becoming more challenging. However, these deductions have come under attack by some in Salem. Currently, Oregon is the third-worst state for housing affordability. This is epitomized in rural Oregon, where home prices are 30 percent higher than the national average, while rental prices are 16 percent higher. Affordable housing has become a crisis in our state. Add that to the growing homeless population and we have real problems to confront. Instead of designing new tricks to make it easier to raise taxes, politicians should be focused on reducing the cost of housing, not increasing it. With your vote, you have an opportunity to protect these important deductions and send a message to legislators that you are paying attention and won’t accept these kinds of political games. A common sense reading of the Oregon Constitution suggests that taking away deductions that encourage charitable contributions and help keep homeownership within reach on a simple majority vote should never be allowed. Measure 104 will close the loophole and encourage legislators to work across party lines and — hopefully — put an end to the bickering and divisiveness that have unfortunately become too common. Please join me in voting “Yes” on Measure 104. 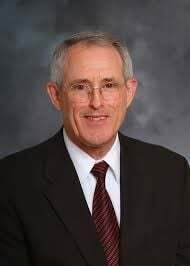 Frank Morse is a former Republican state senator who represented District 8 in Benton and Linn counties.